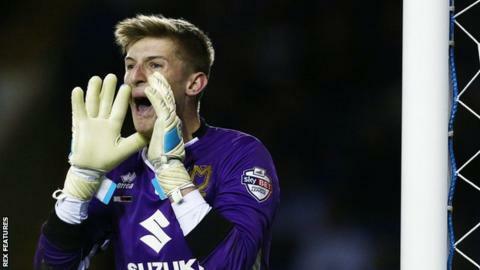 MK Dons have triggered a one-year option in goalkeeper Charlie Burns' contract to keep him at the League One-bound club for next season. The 20-year-old was given his full debut this season against Sheffield Wednesday and made a further three appearances for Karl Robinson's side. Burns previously had loan spells at Cambridge City and Truro City. "I know I'm going to have to remain patient and wait for my opportunity to impress," Burns told the club website. "I'm still young and I'm still developing, so I'll be looking to continue learning each and every day in training and in matches."